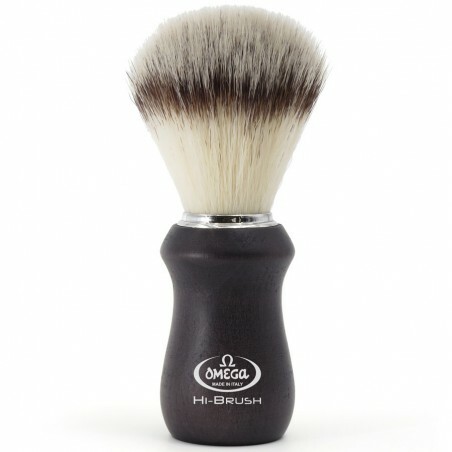 Omega Shaving Brush "Hi Brush" Ash Wood Black Handle . 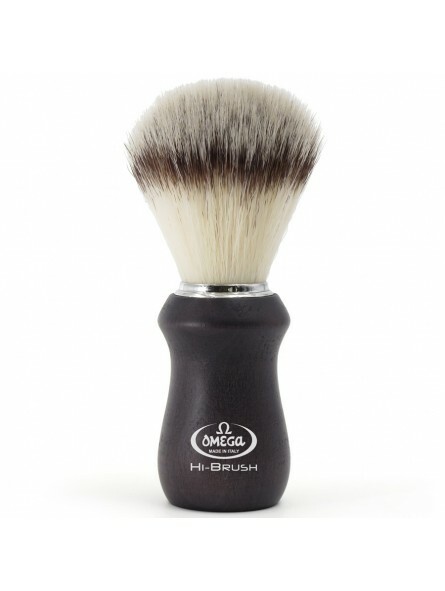 This shaving brush is made with synthetic fibers that are made of PBT, with the HI-Brush technology. It is extraordinarily similar to the natural badger hair thanks to it firmness and softness. Its fibers are very hygienic and are an alternative to the traditional badger shaving brushes, respectful of the environment and maintaining all the benefits and quality of the natural hair shaving brushes. Its ergonomic shape and light weight will give you a unique shaving experience. Softness and freshness will be with you throughout the day. The handle is made with ash wood that gives it resistence, ensuring a long lasting usable life. The black colour and famous brand logo give it style too.